Mountain BizWorks (MBW) has selected 15 small businesses in the region with strong potential for growth and job creation to participate in the third cohort of their ScaleUp WNC program, which began last Friday. The initiative, made possible with financing from the U.S. Small Business Administration, aims to provide these entrepreneurs with intensive growth strategy development, mentorship, access-to-capital support, and a rich network of peer business owners. 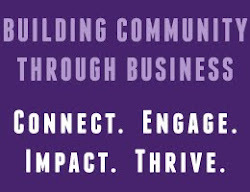 ScaleUp WNC launched in 2015, and funding will allow the nonprofit to continue hosting two cohorts annually through 2019. MBW says the end result of the high-impact initiative will be a diverse and distinguished group of entrepreneurs able to drive innovation and economic development across WNC for a long time to come. Thirty companies completed the program in 2015. To date, one-third of those alumni have already secured growth capital, and many more have met other major milestones—a testament to ScaleUp WNC’s design and curriculum. The 2016 ScaleUp WNC Cohort 3 participating businesses are: Black Mountain Ciderworks (Black Mountain), Blue Ridge Energy Works (Boone), Brian Boggs Chairmakers (Asheville), Copper Pot & Wooden Spoon (Waynesville), East Fork Pottery (Marshall), Innovation Brewing (Sylva), Kudzu Brands (Black Mountain), Medea’s Espresso & Juice Bar (Arden), No Evil Foods (Asheville), Organic Planet Cleaning (Asheville), Outfitter Bicycle Tours (Hendersonville), Pisgah Pest Control (Brevard), Port City Amplification (Swannanoa), Printville (Asheville), and Still Point Wellness (Asheville). MBW has received more than 45 applications for the 2016 program. Cohort 3 began Friday, March 4, and runs through mid-May. The following cohort will run from June through September. Applications are continuing to be accepted for Cohort 4 and are due by April 17. More information about the program—including the application and details about Cohort 3 participants and 2015 alumni—can be found at scaleupwnc.com.